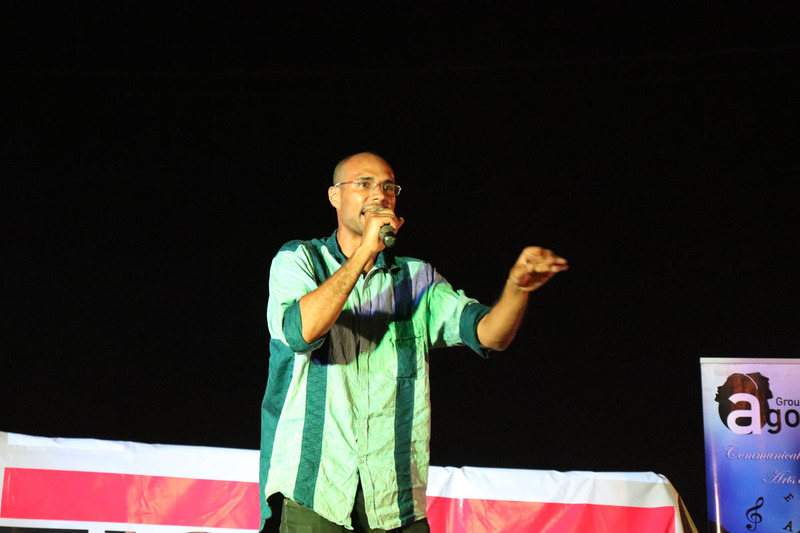 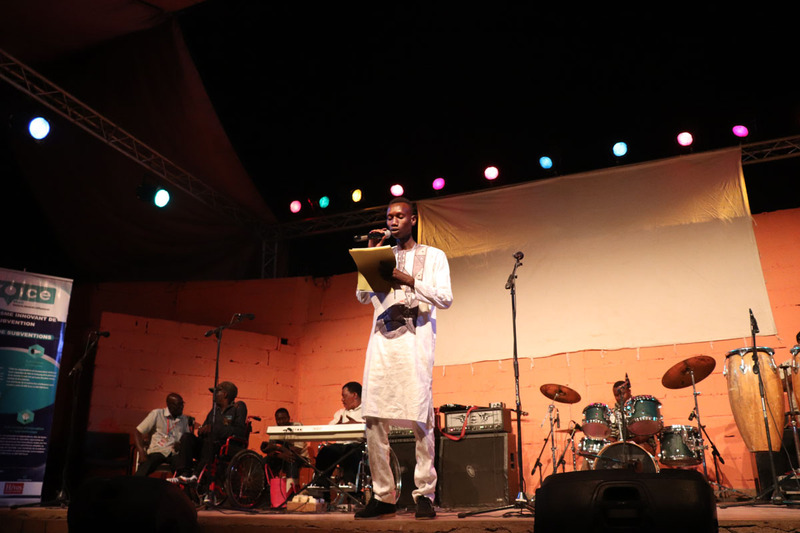 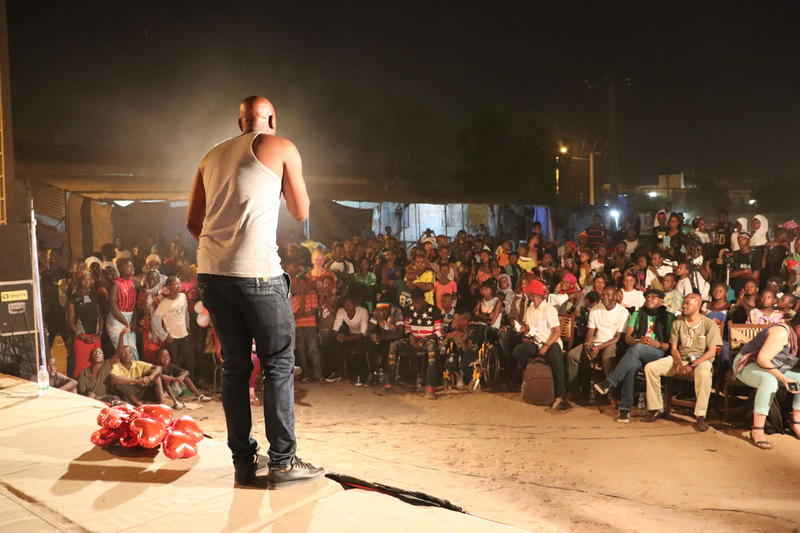 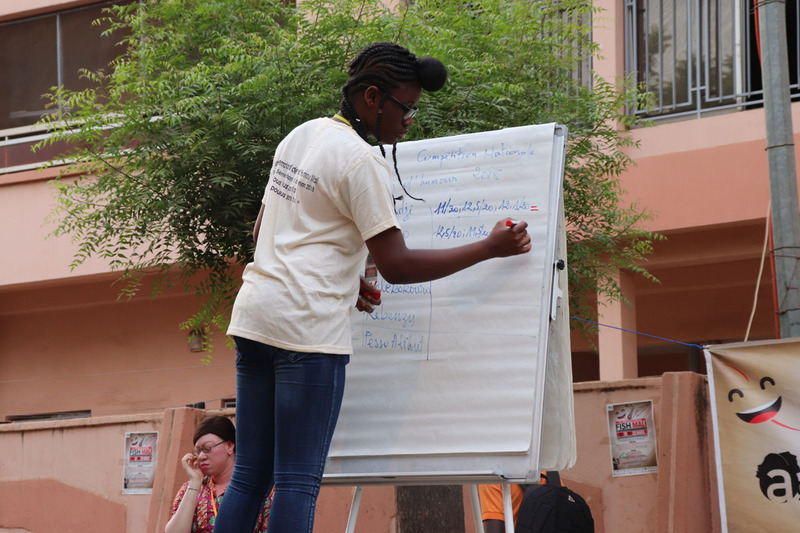 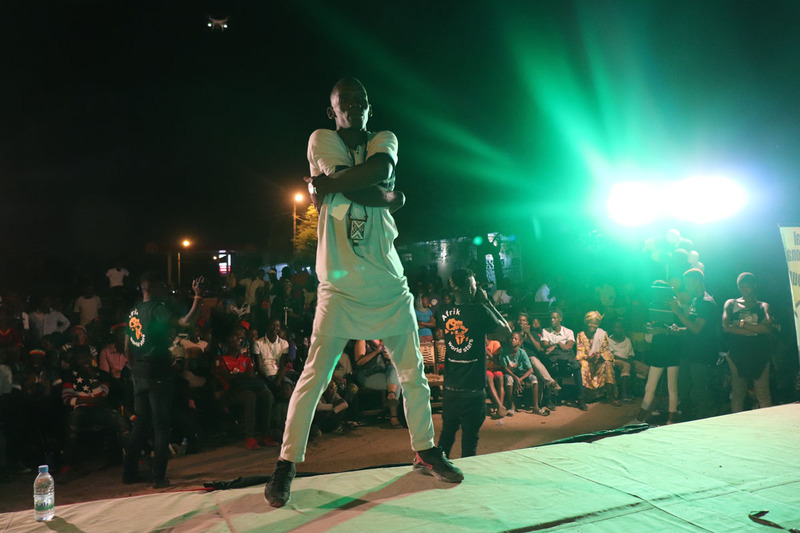 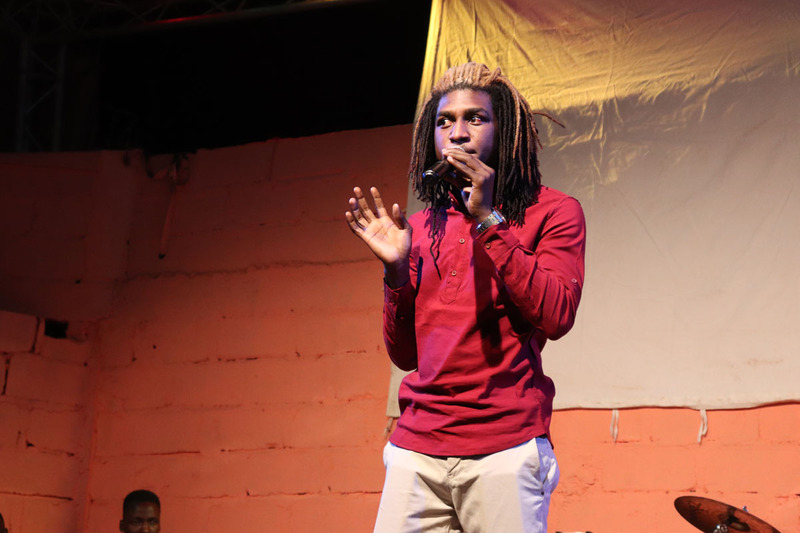 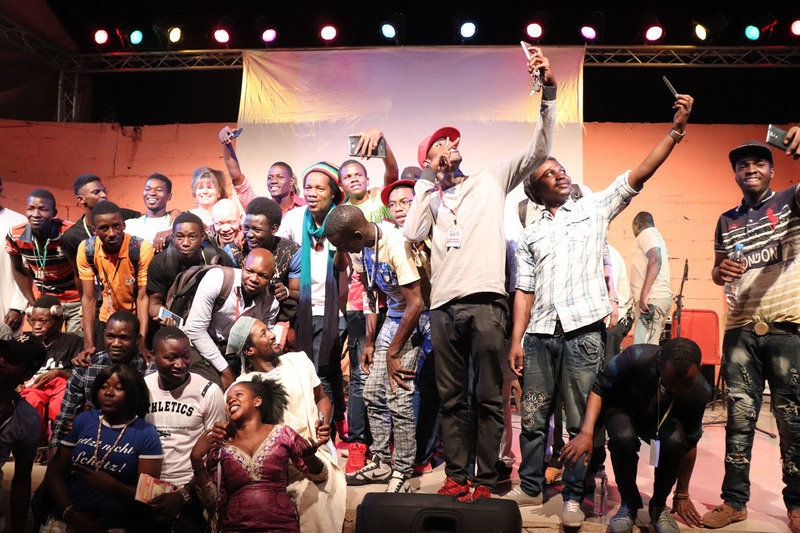 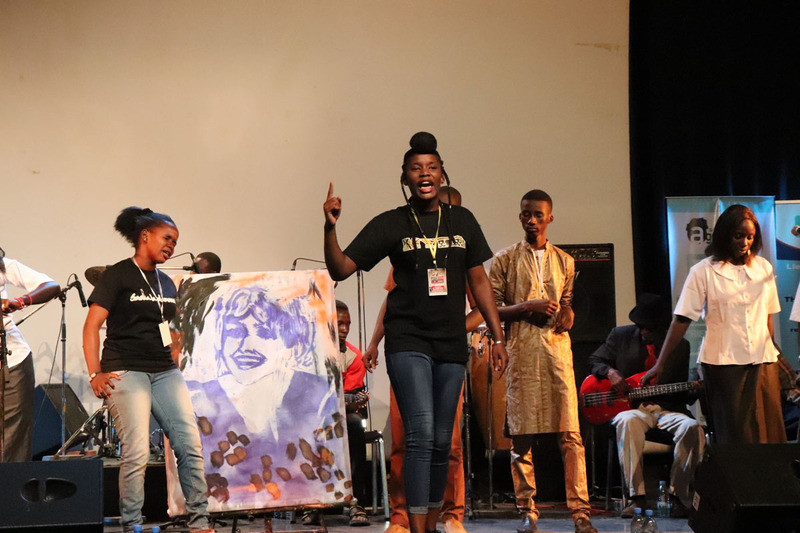 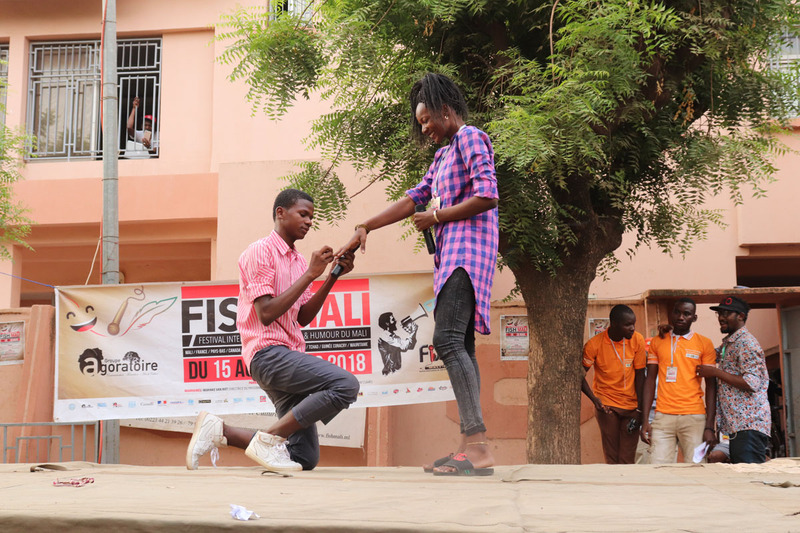 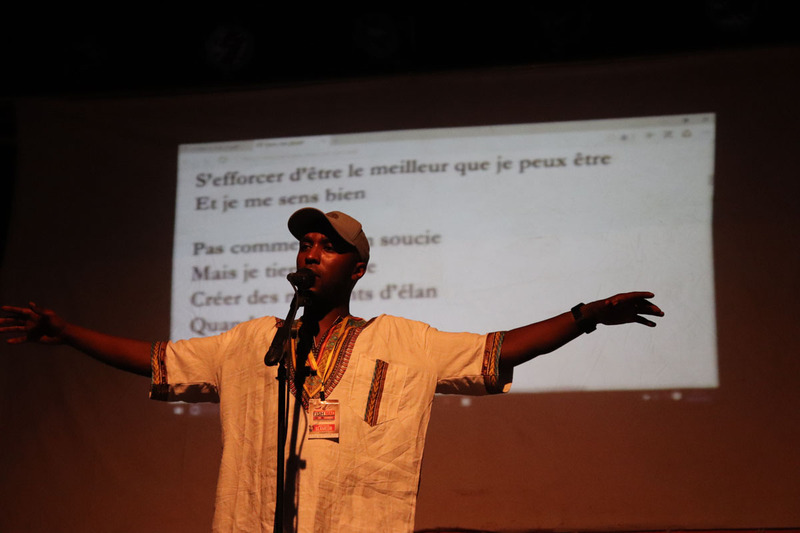 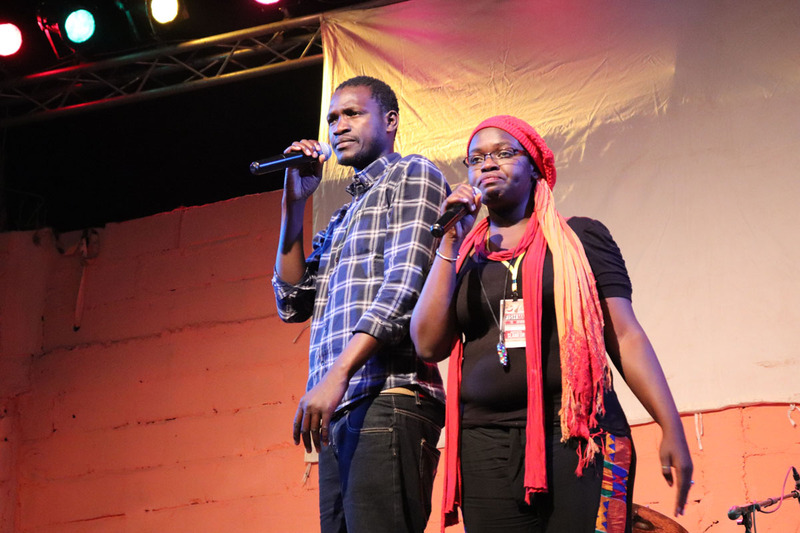 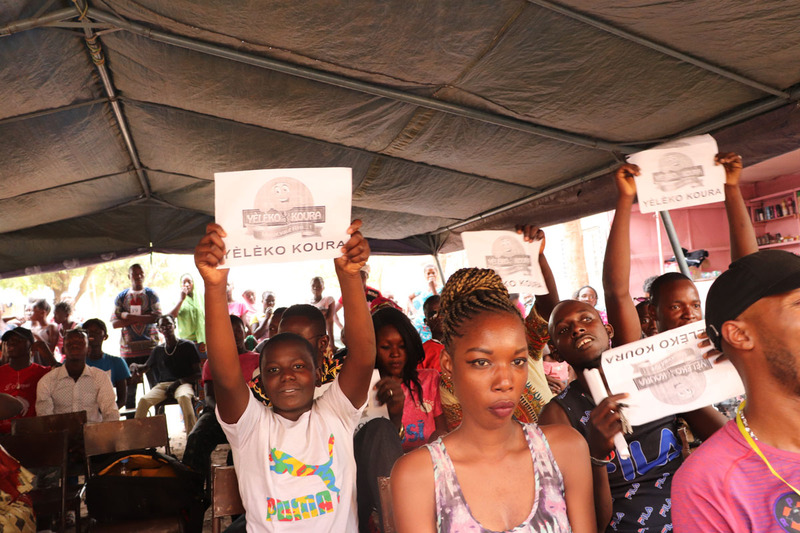 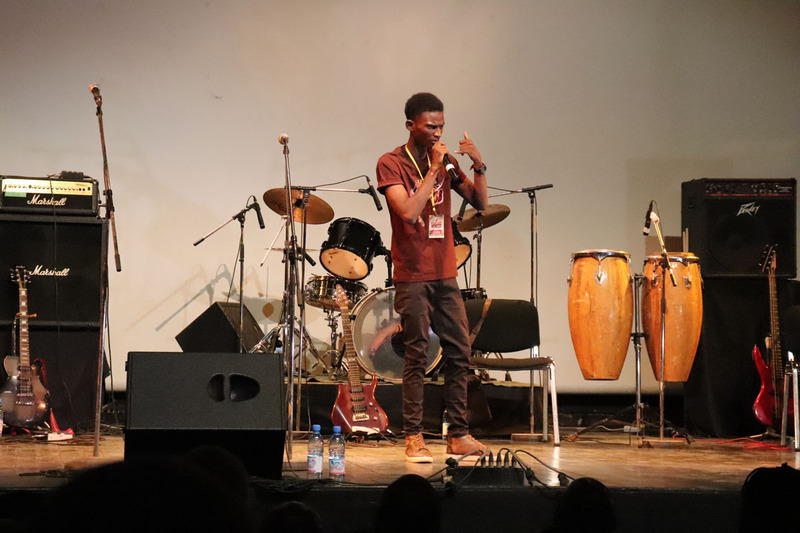 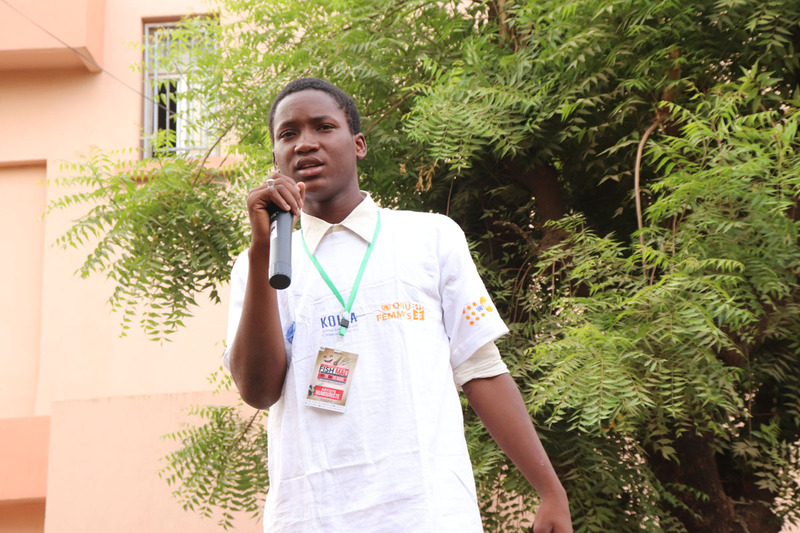 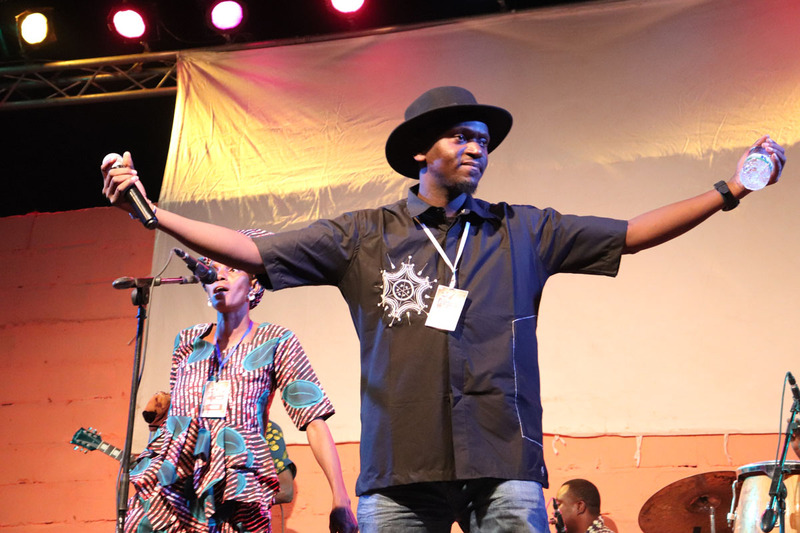 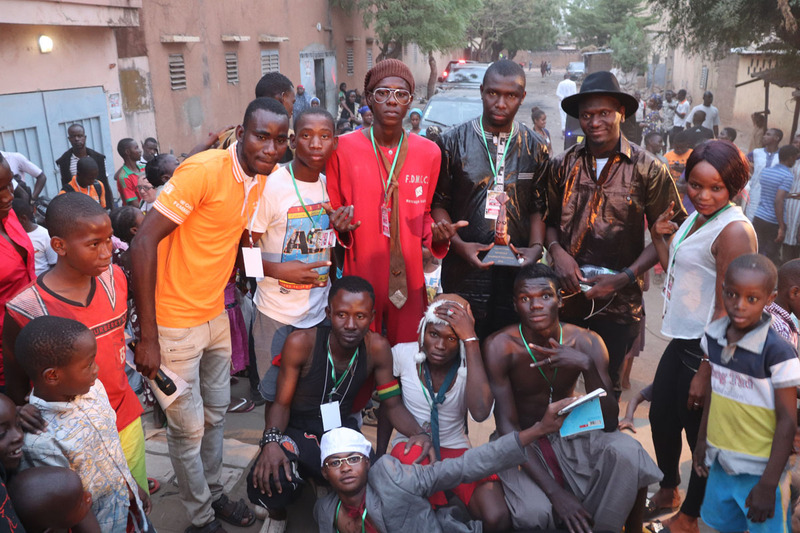 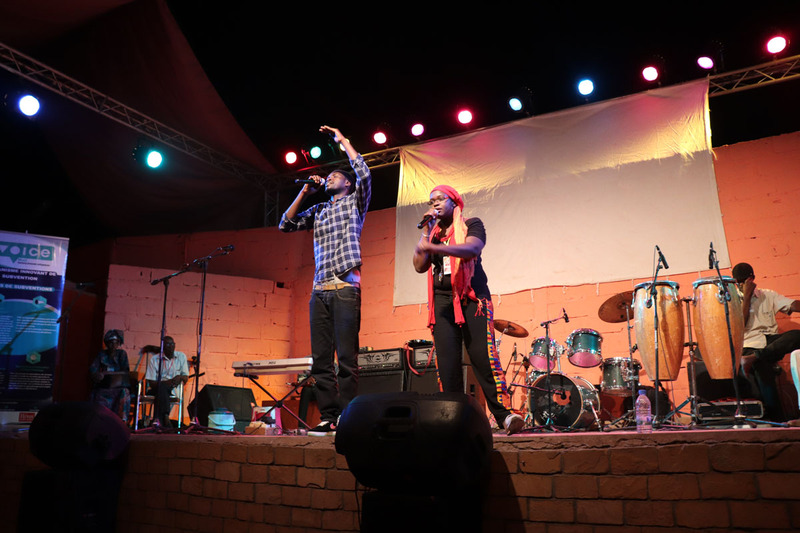 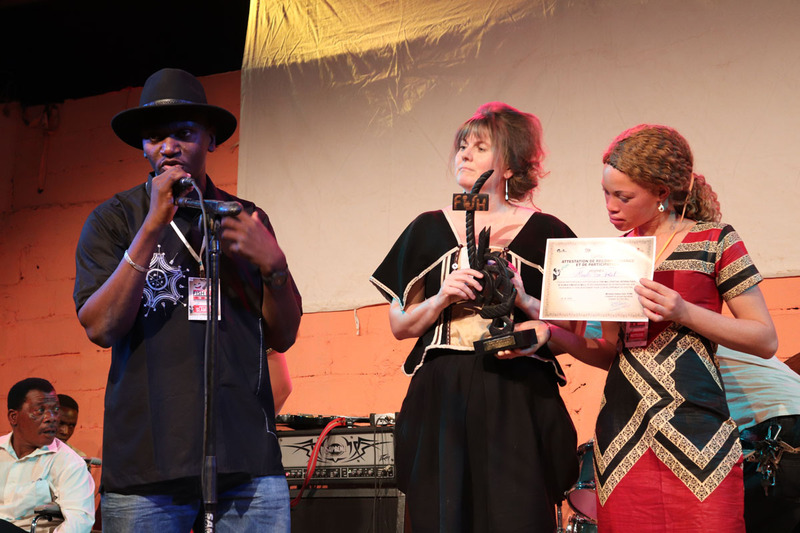 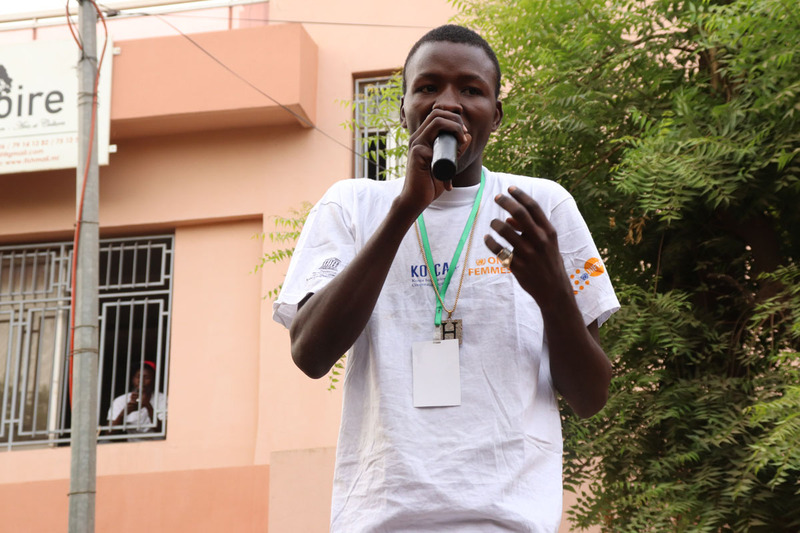 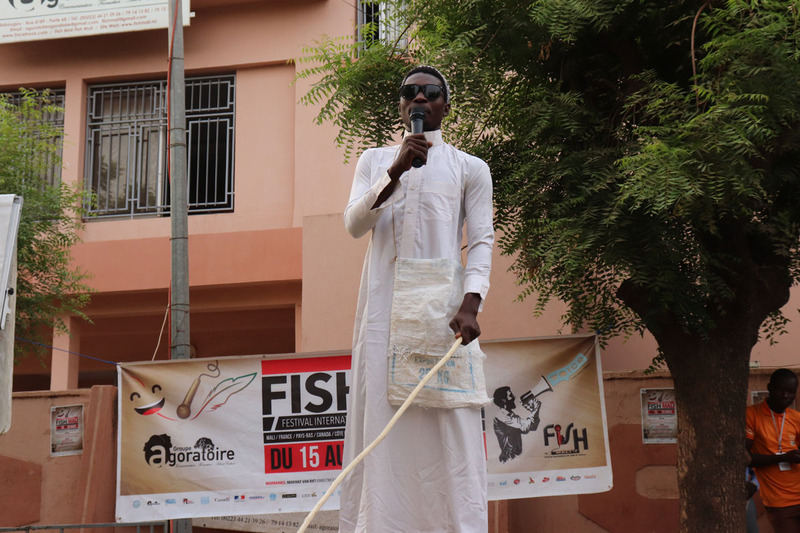 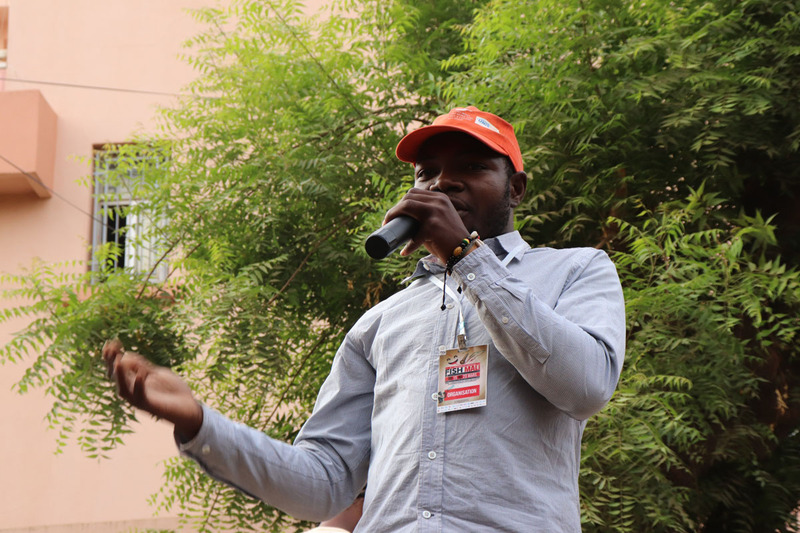 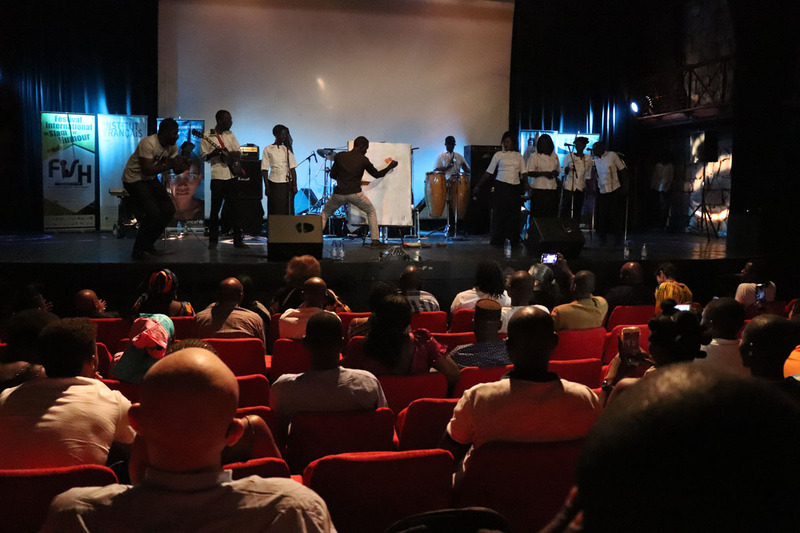 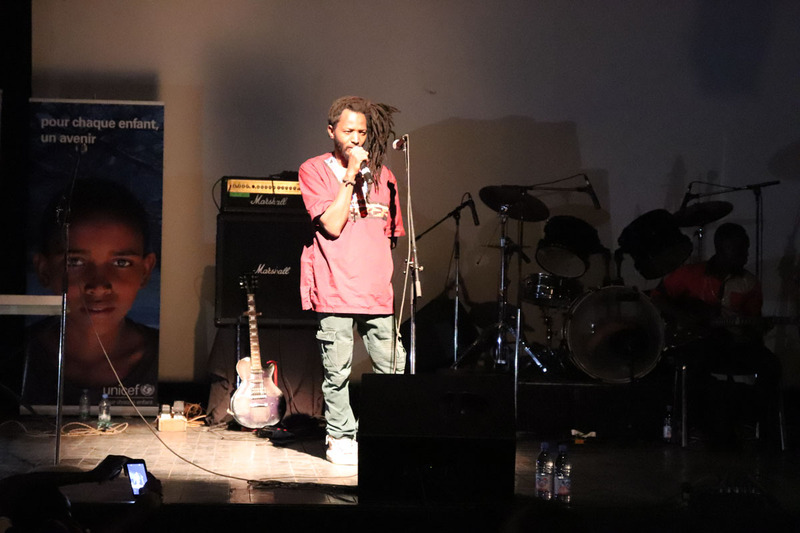 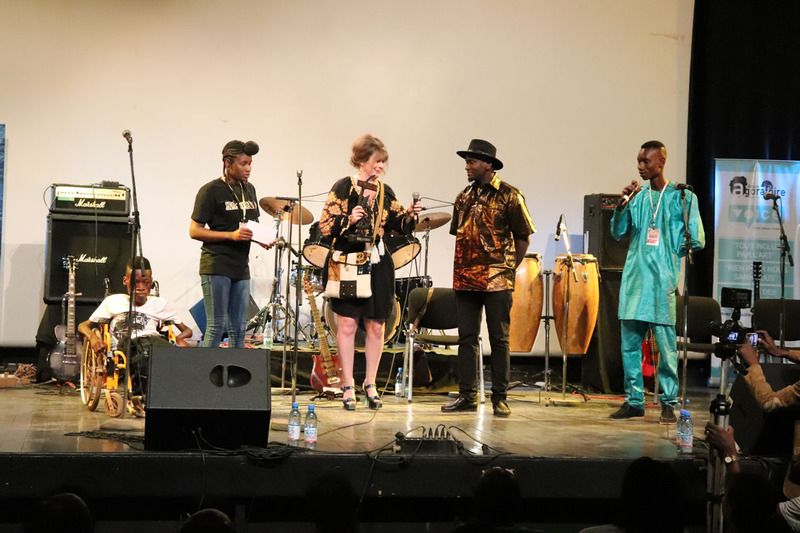 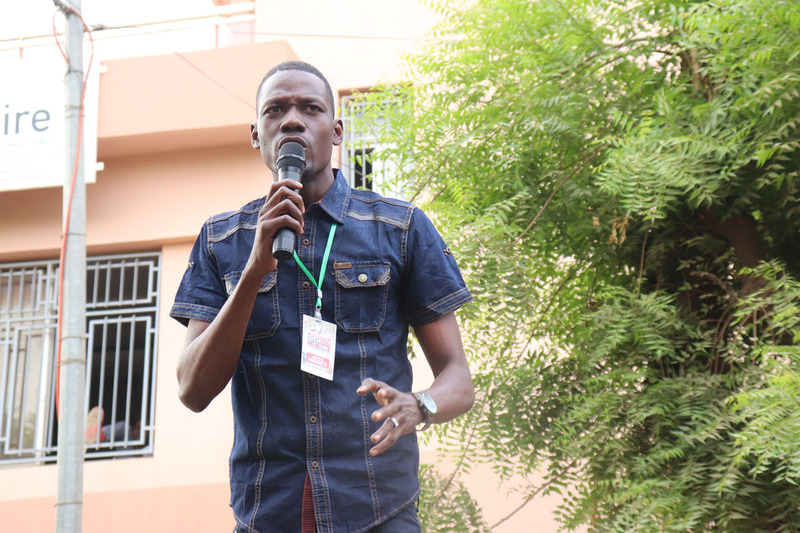 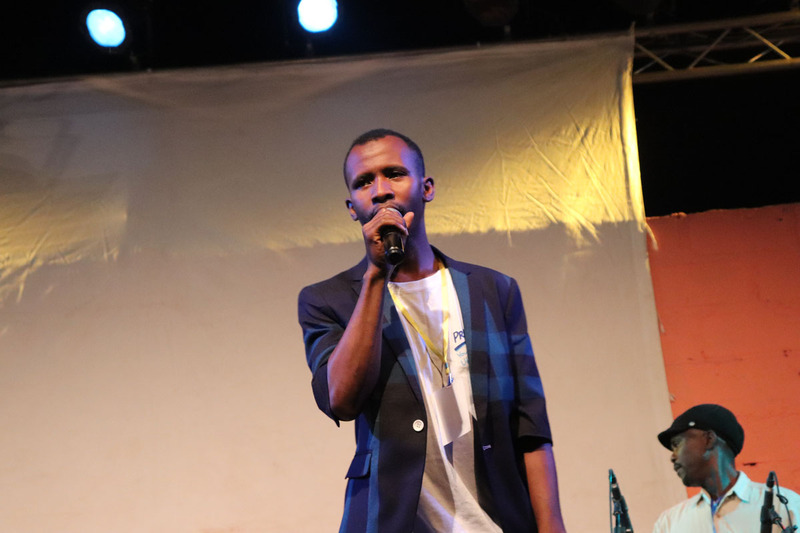 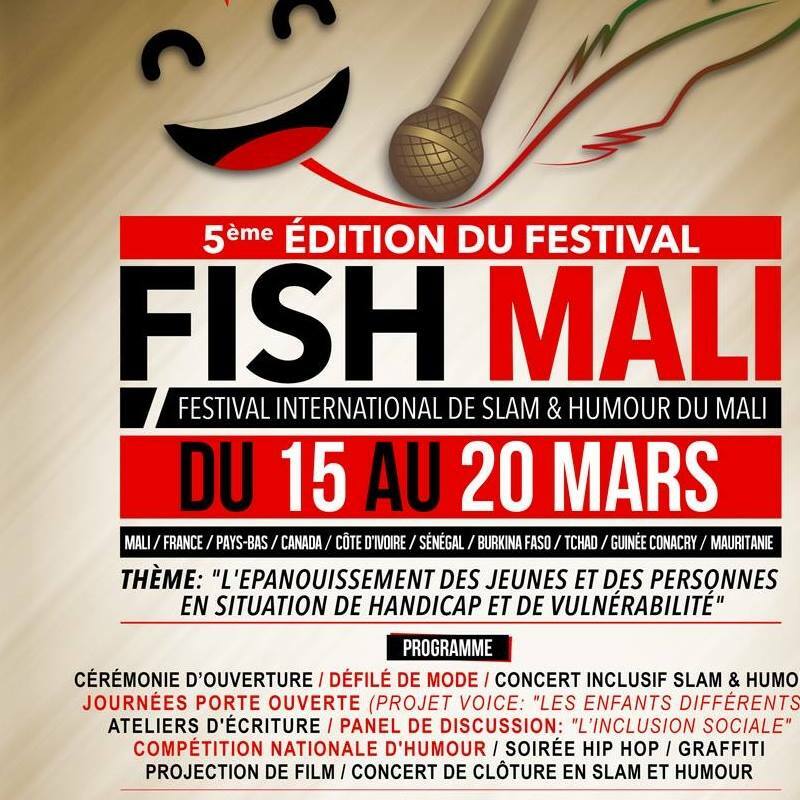 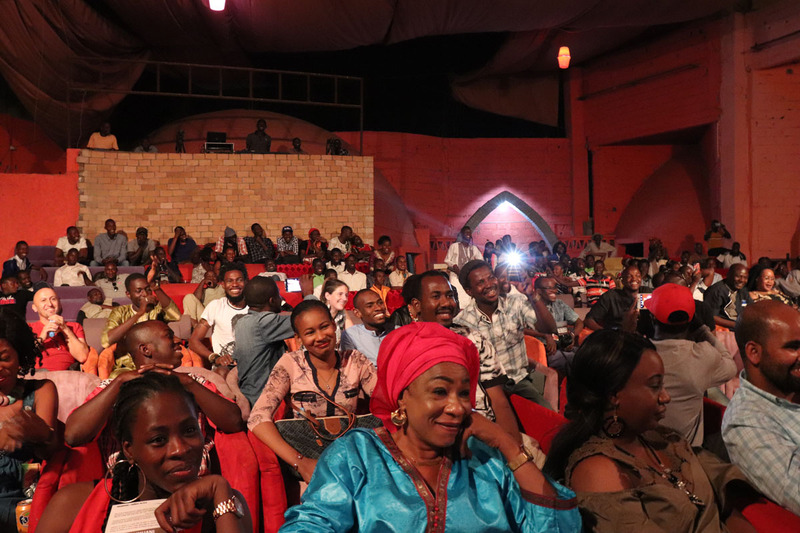 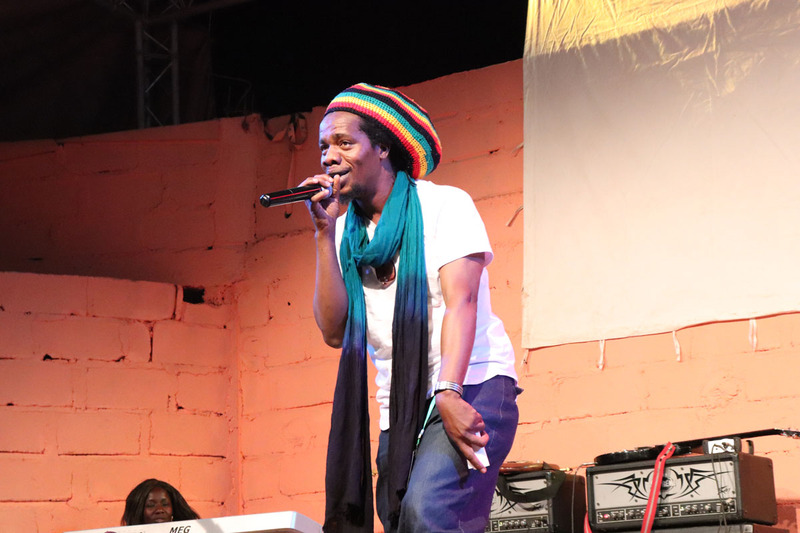 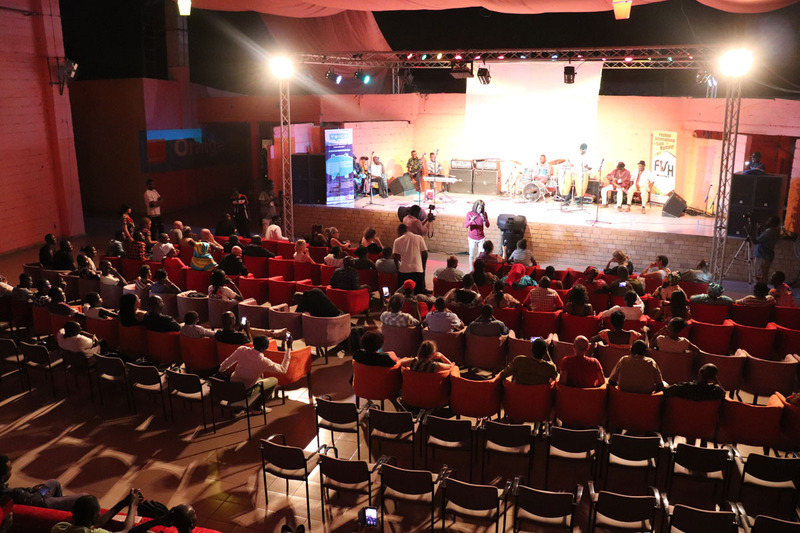 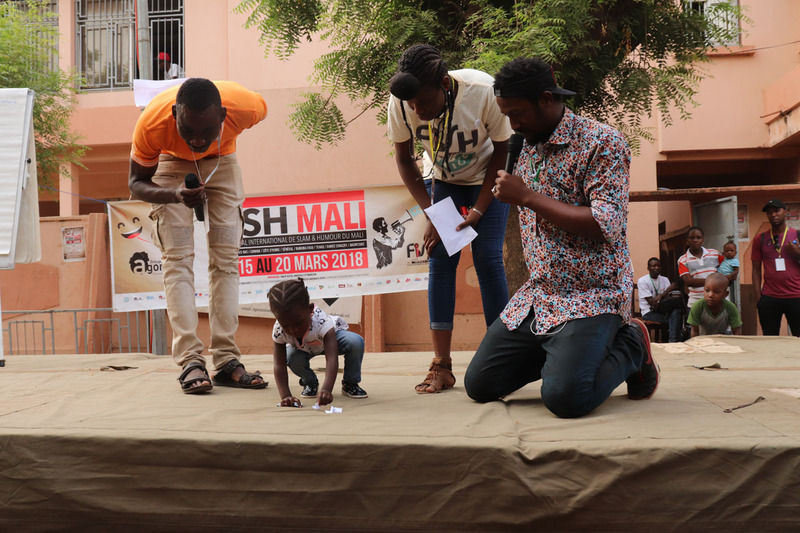 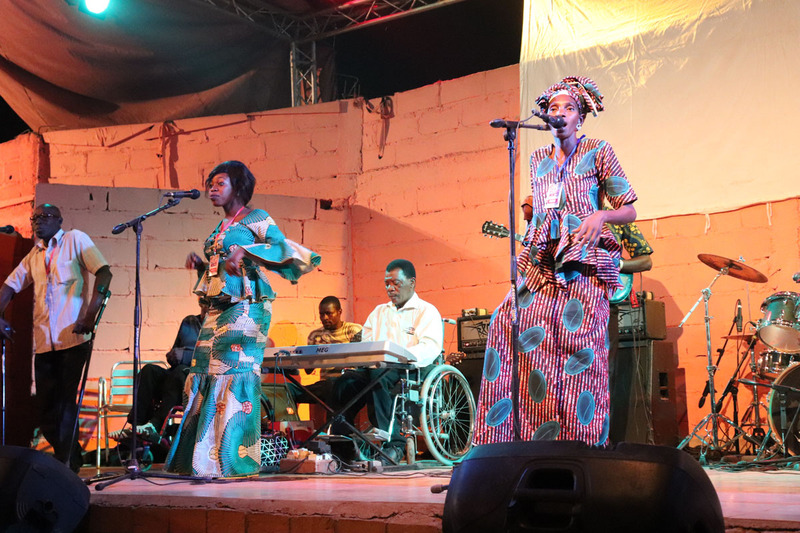 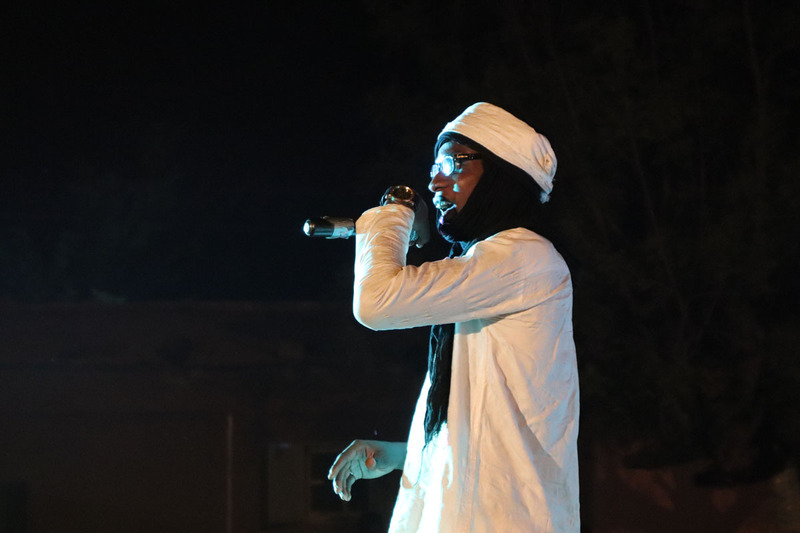 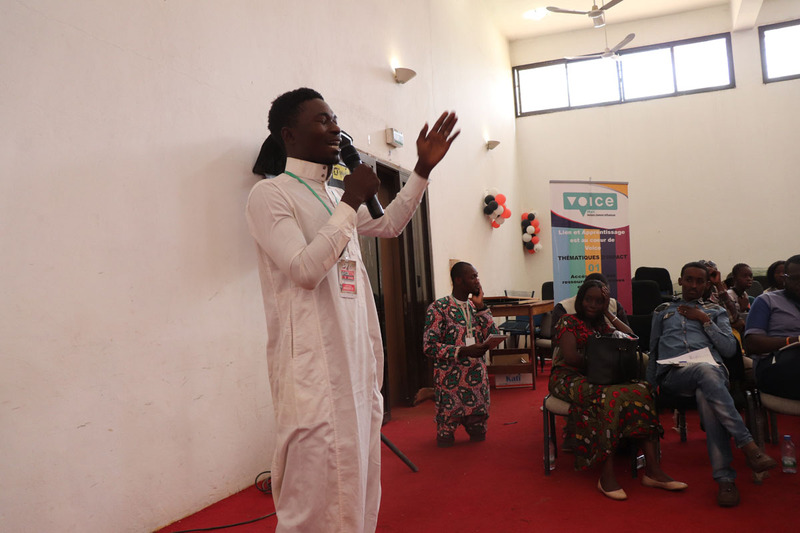 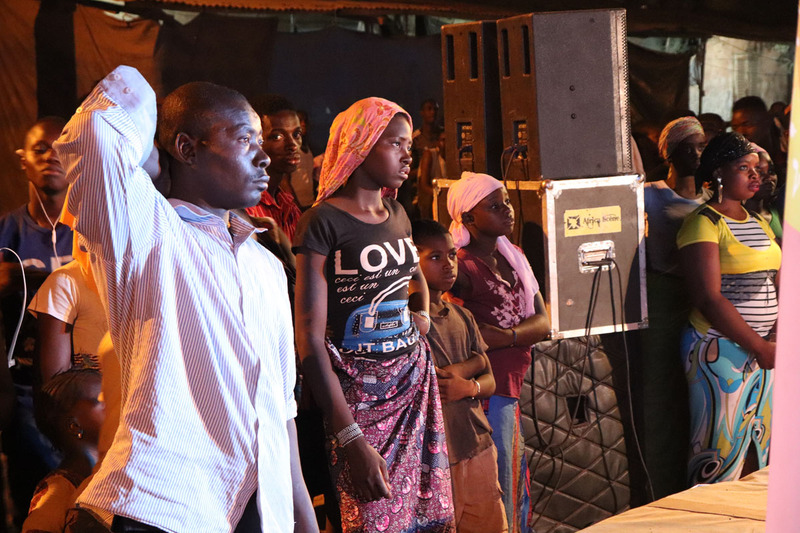 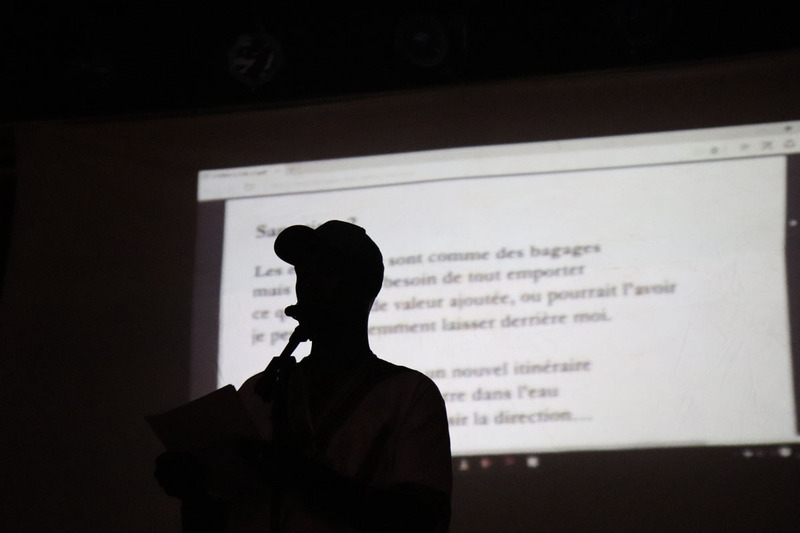 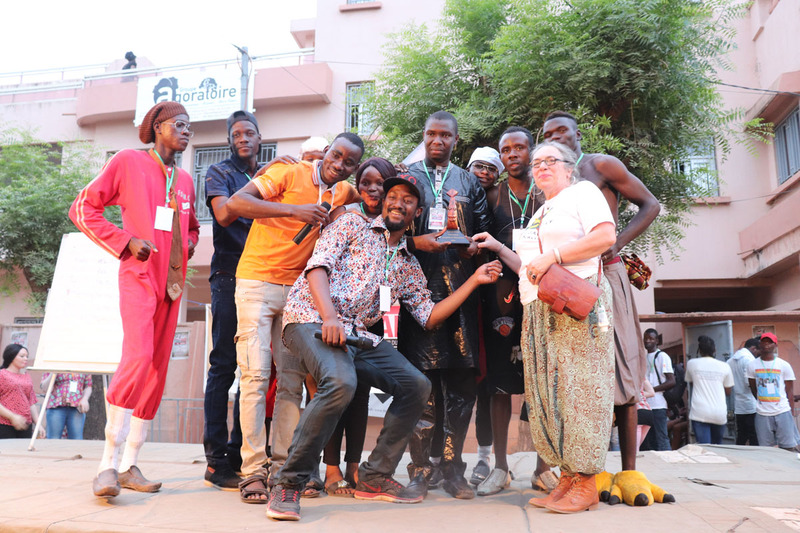 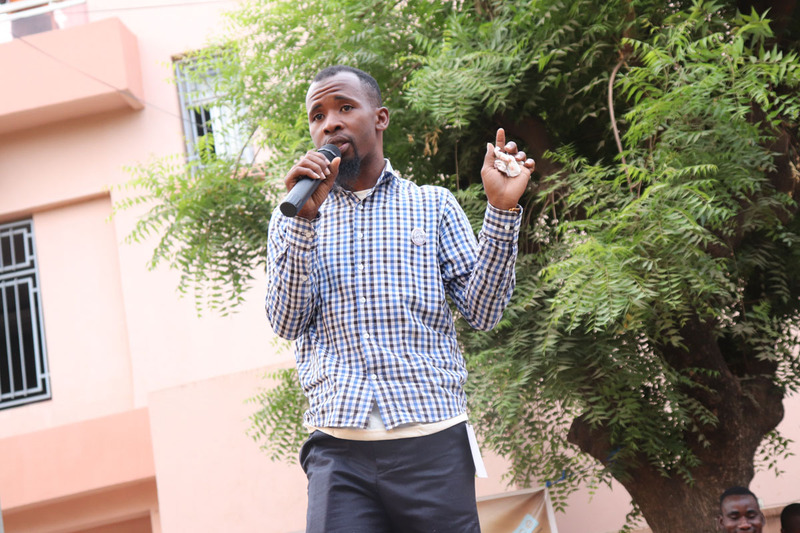 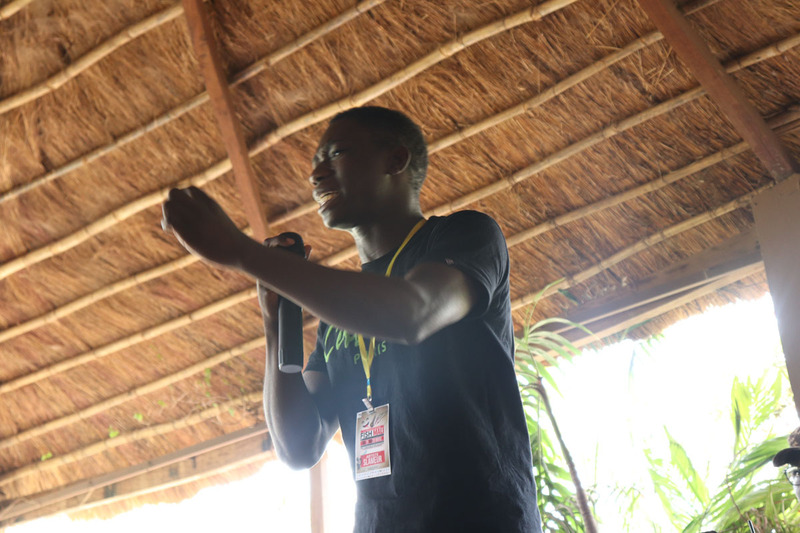 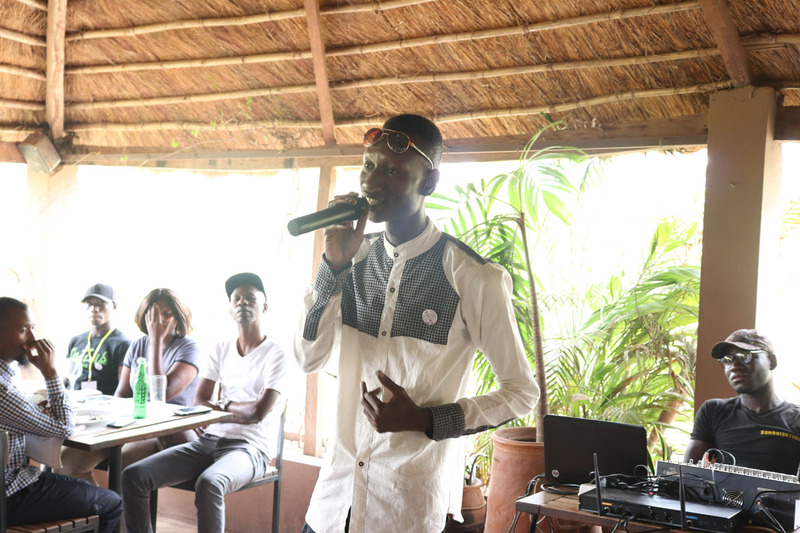 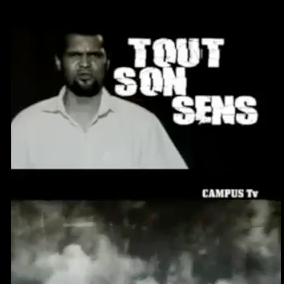 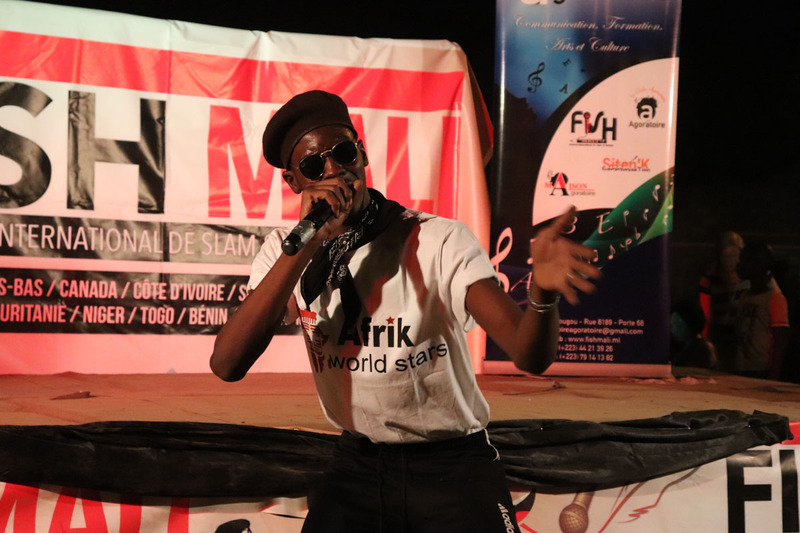 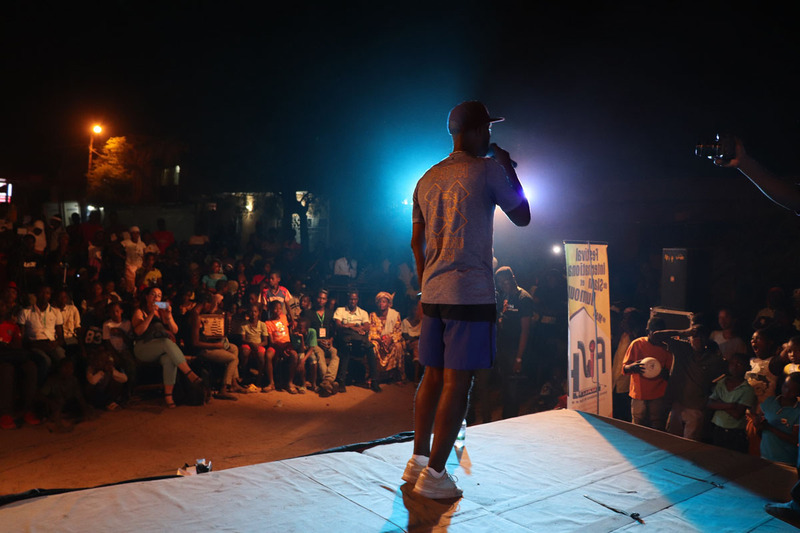 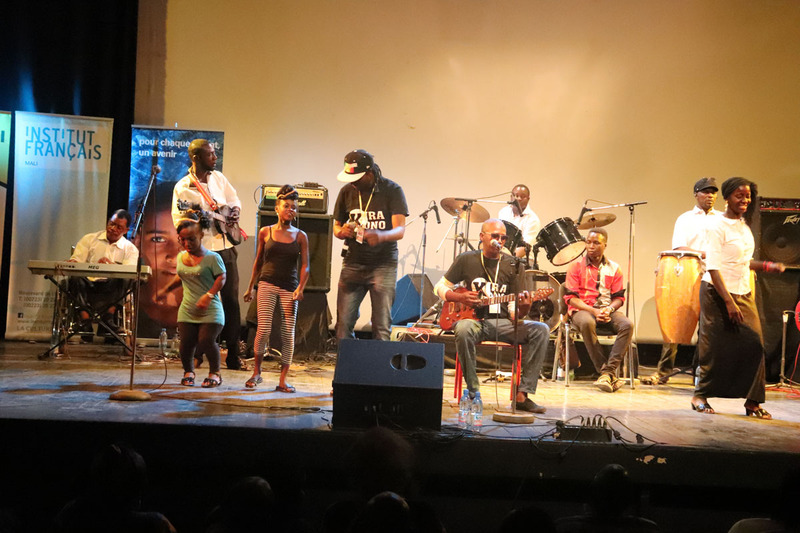 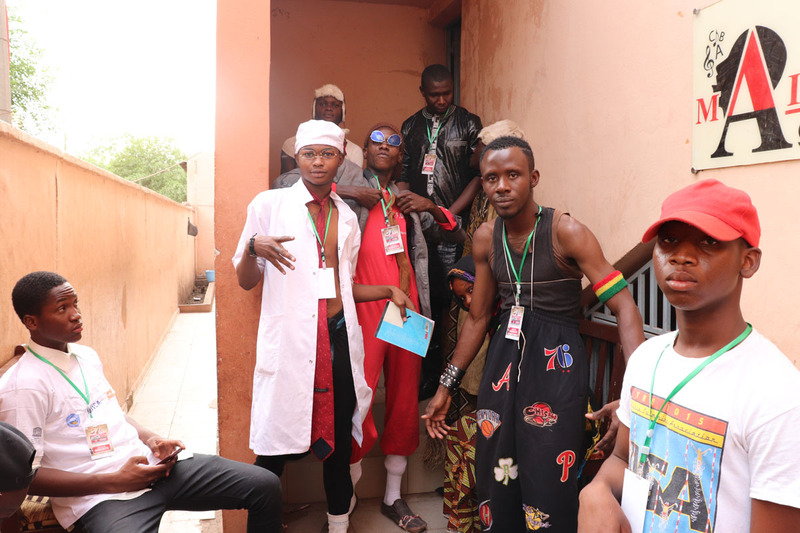 The Festival International de Slam et Humour (FISH) Mali is an annual event in Bamako (Mali), organised by slam artist Abdul Aziz Koné and his Maison Agoratoire, a cultural organisation and a partner of Voice4thought. 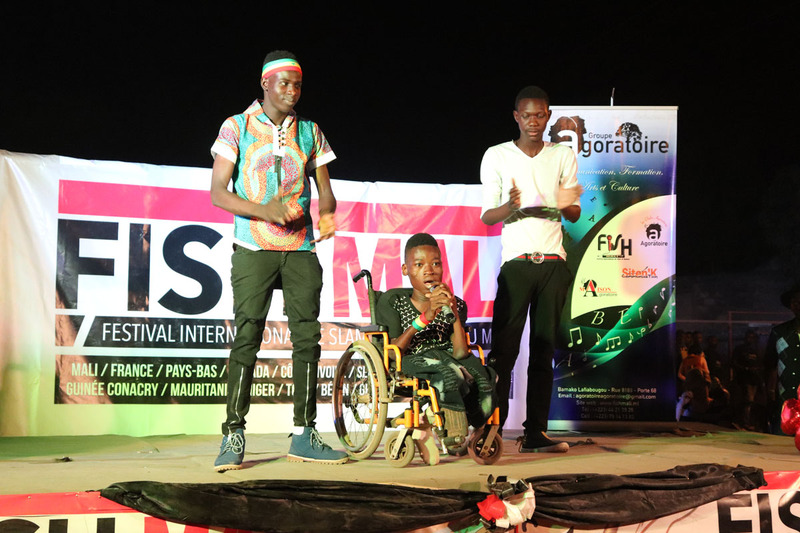 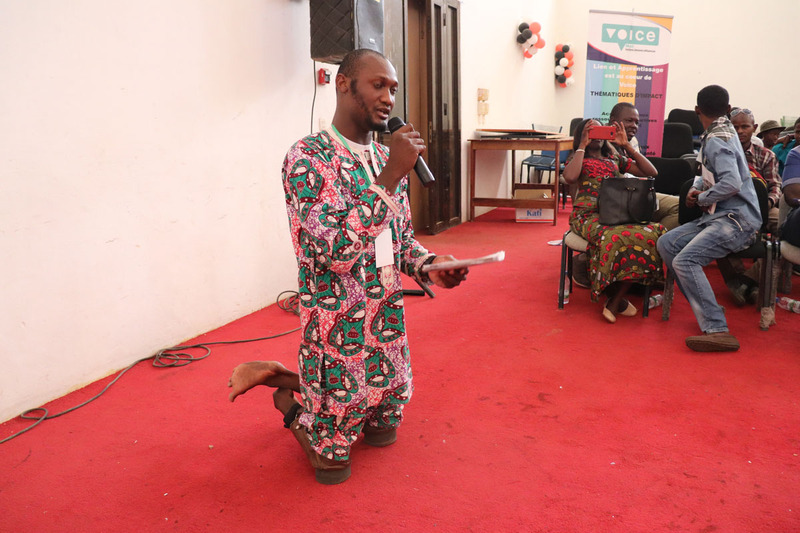 The 2018 edition focused on the topic of children and youth with disabilities. 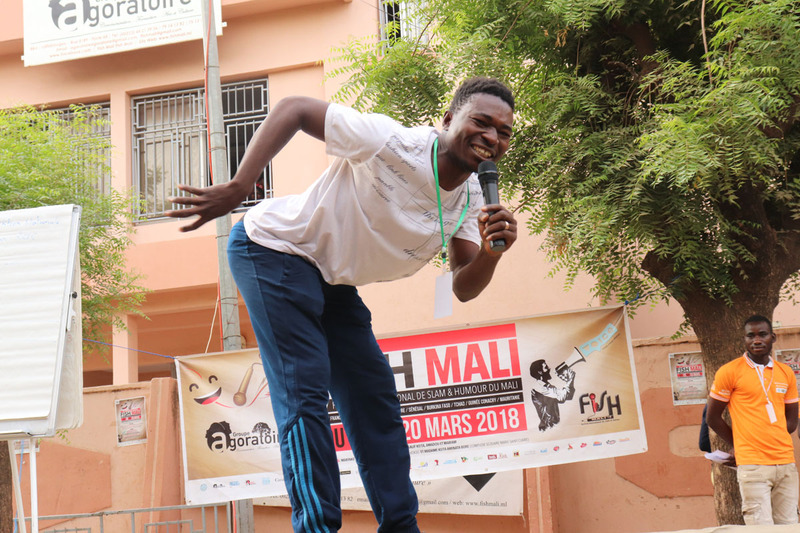 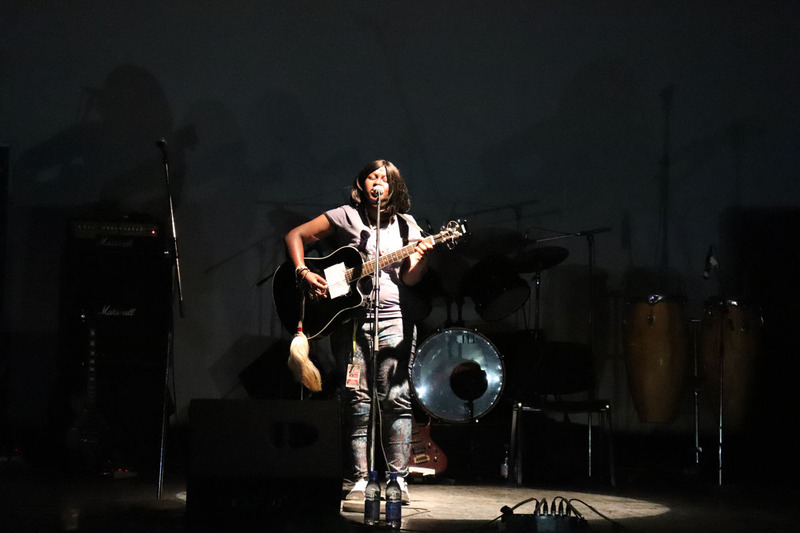 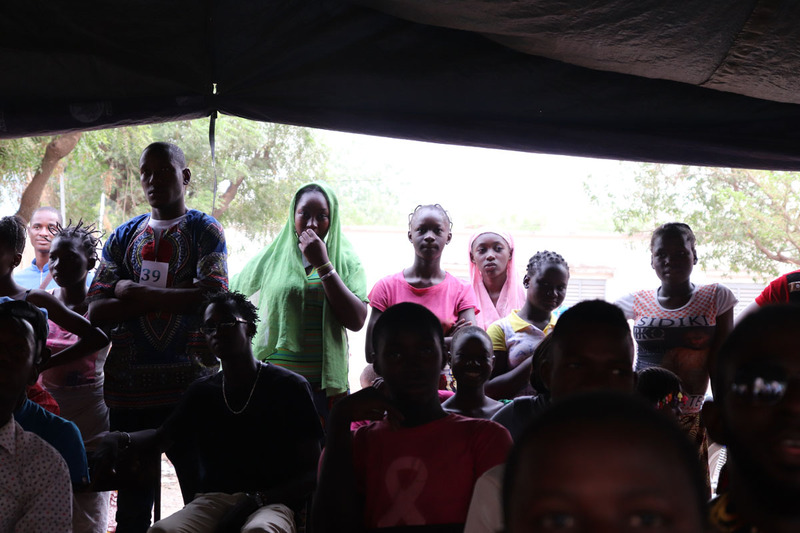 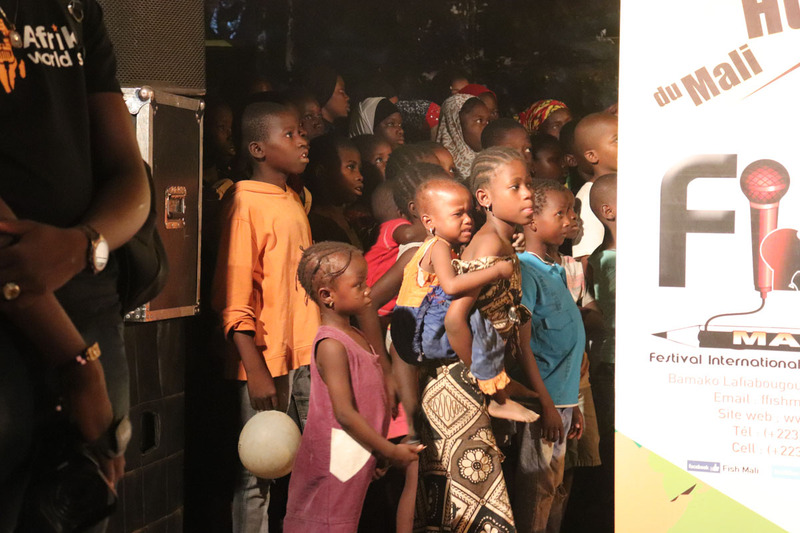 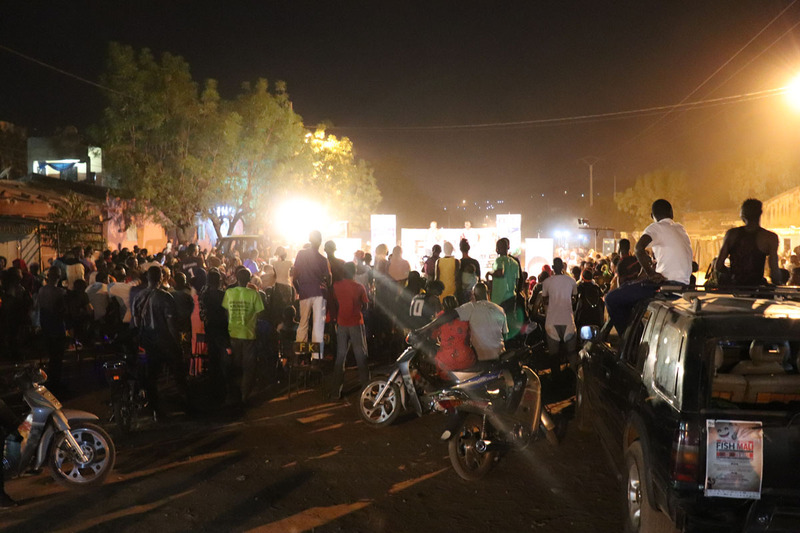 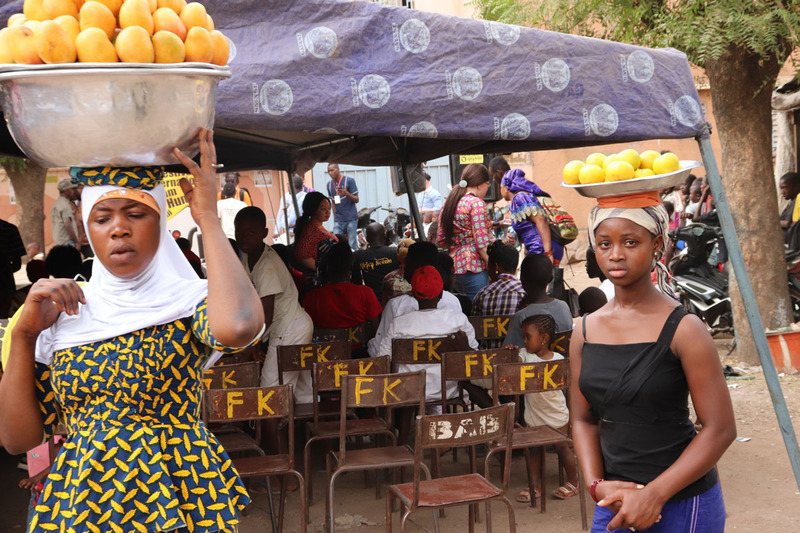 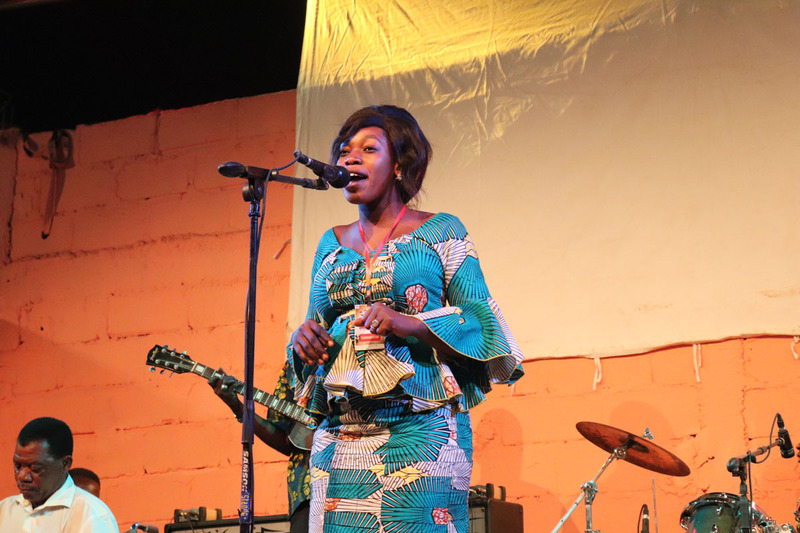 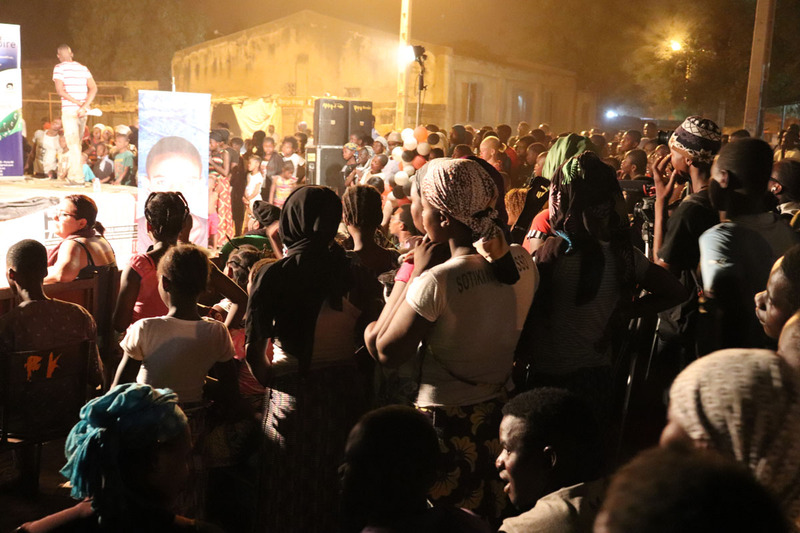 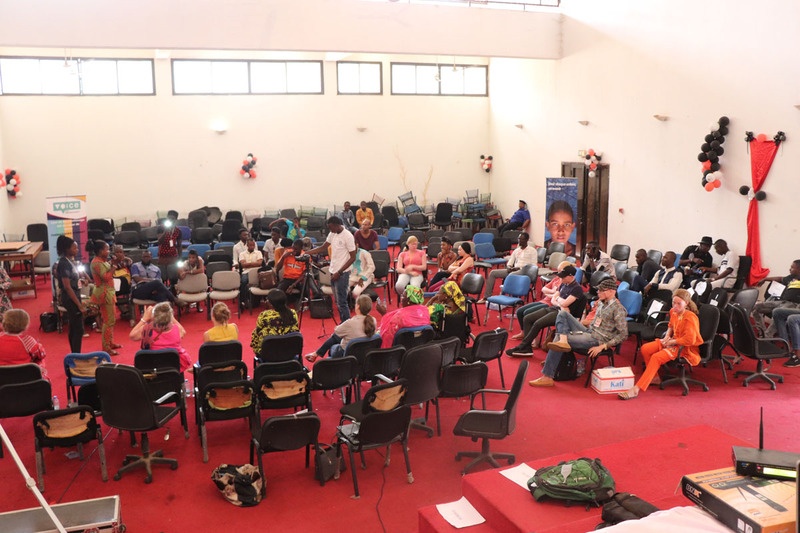 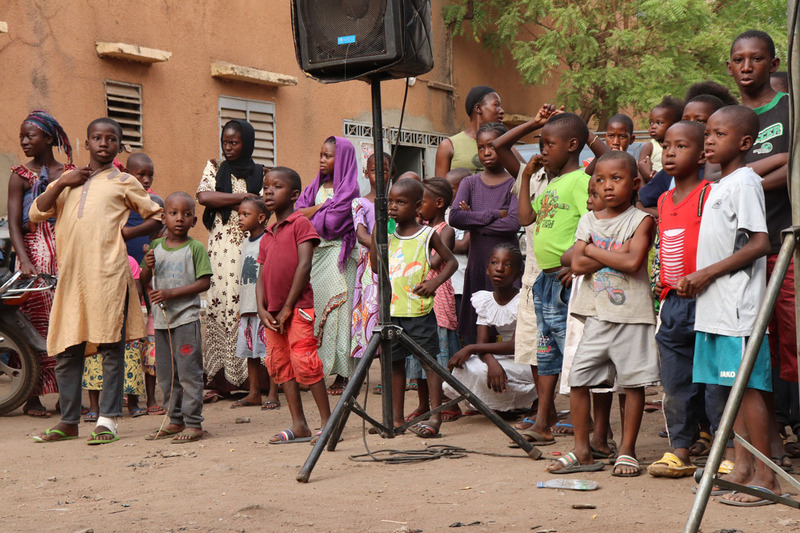 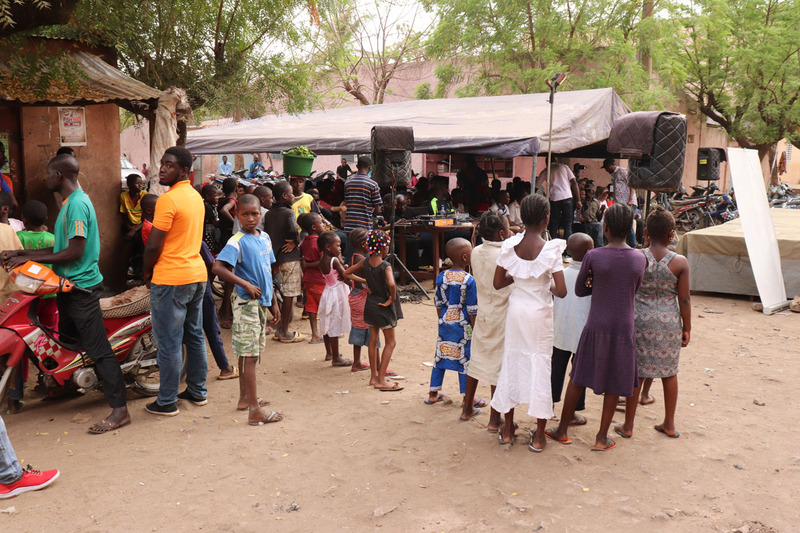 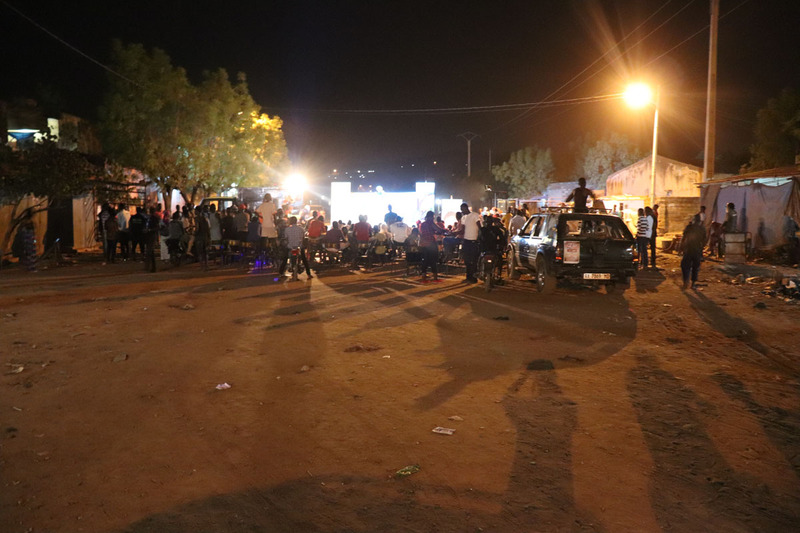 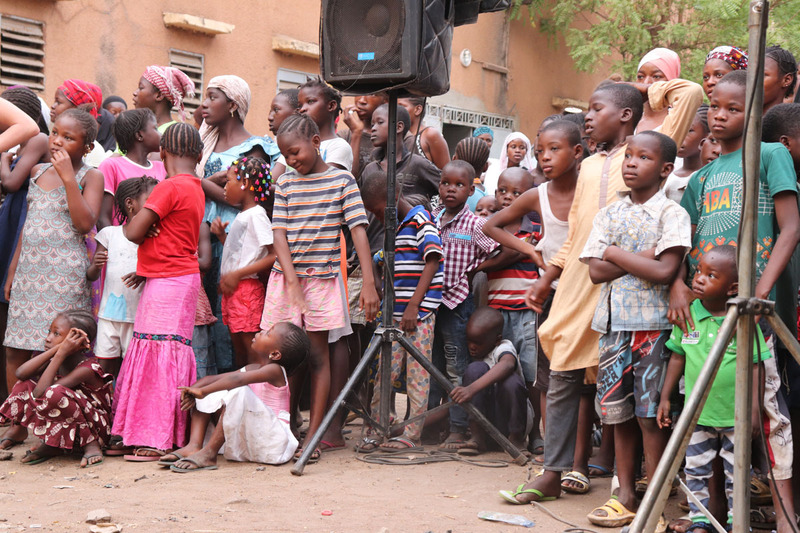 Events took place in a number of venues across Bamako, from the Institut Francais to Blonba cultural center, and Maison Agoratoire, located in Lafiabougou, a densely populated neighbourhood. 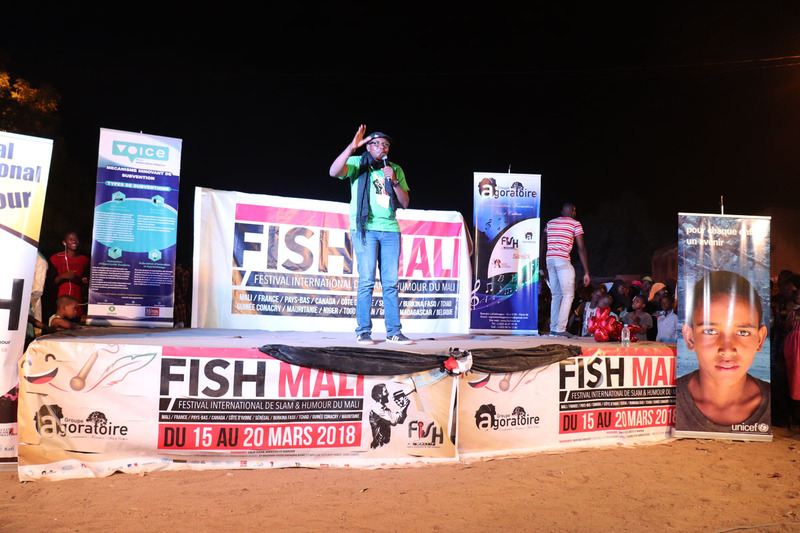 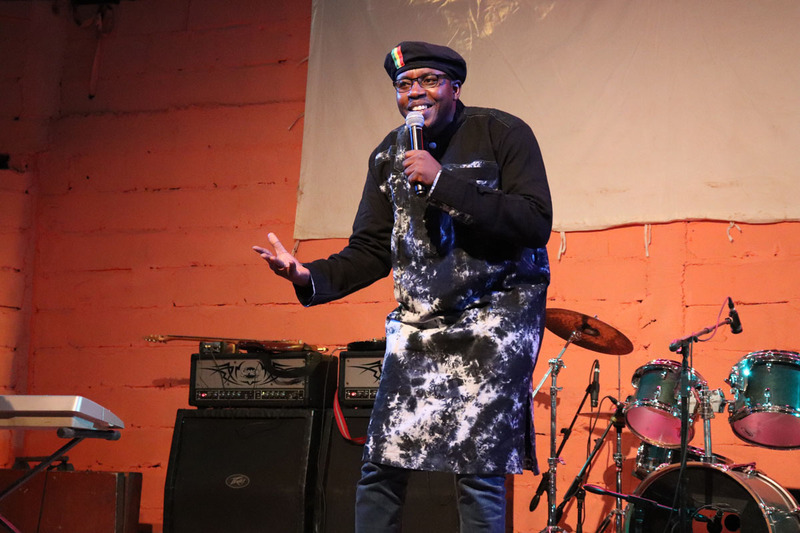 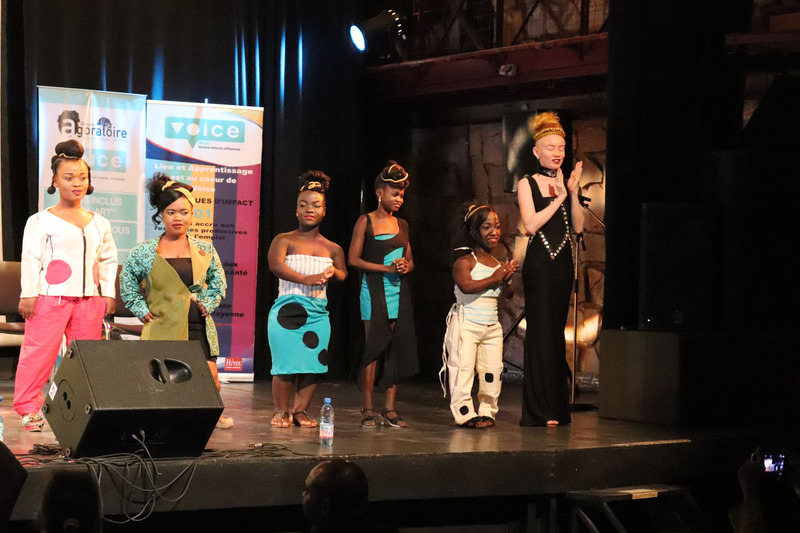 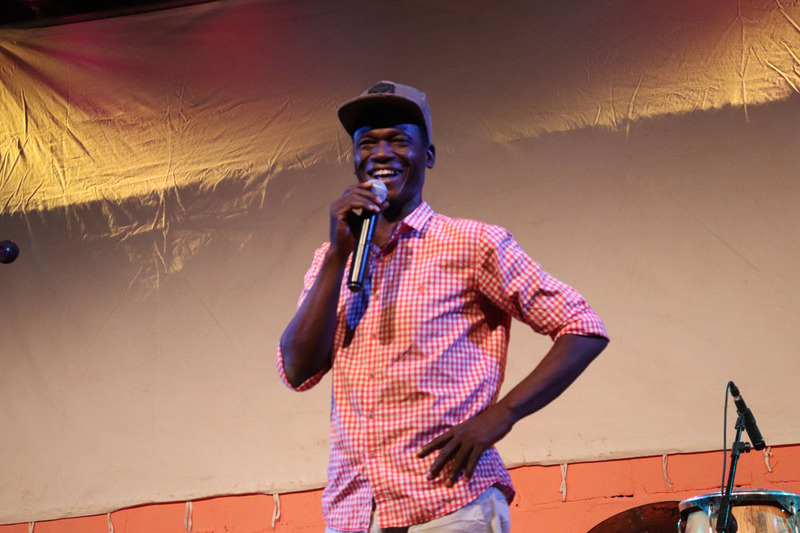 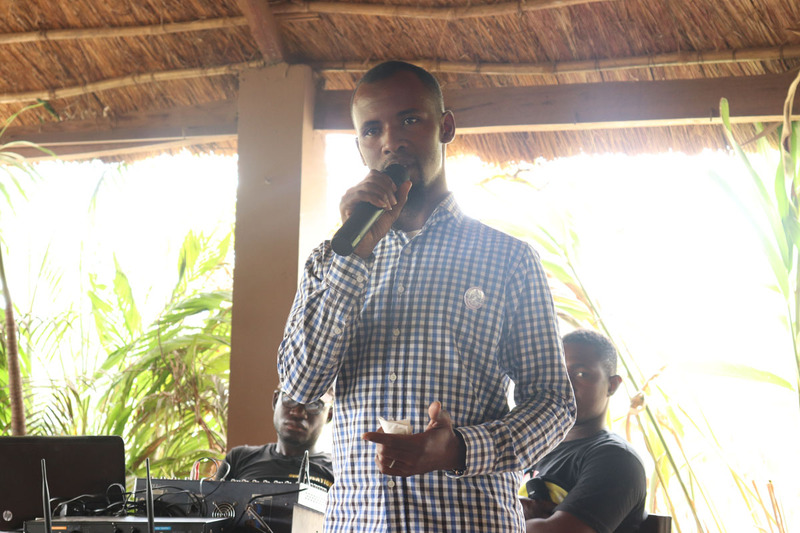 FISH Mali 2018 was also the occasion of Mali's first ever national stand-up comedy competition. 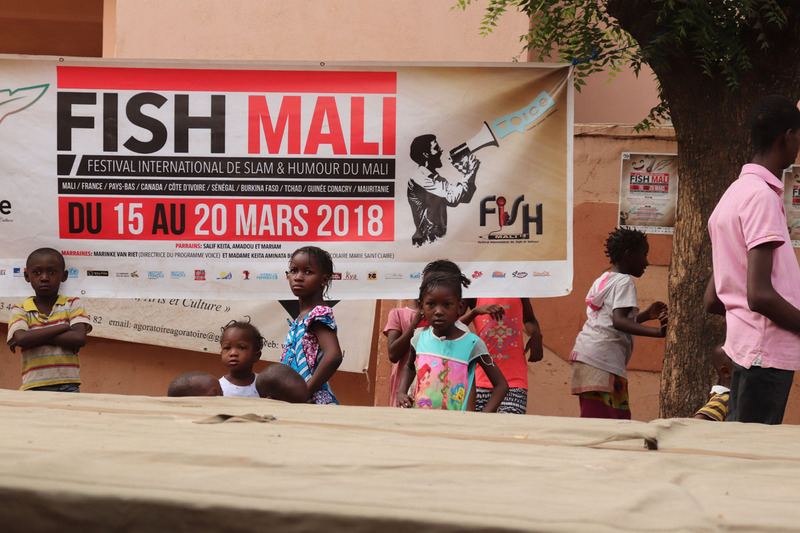 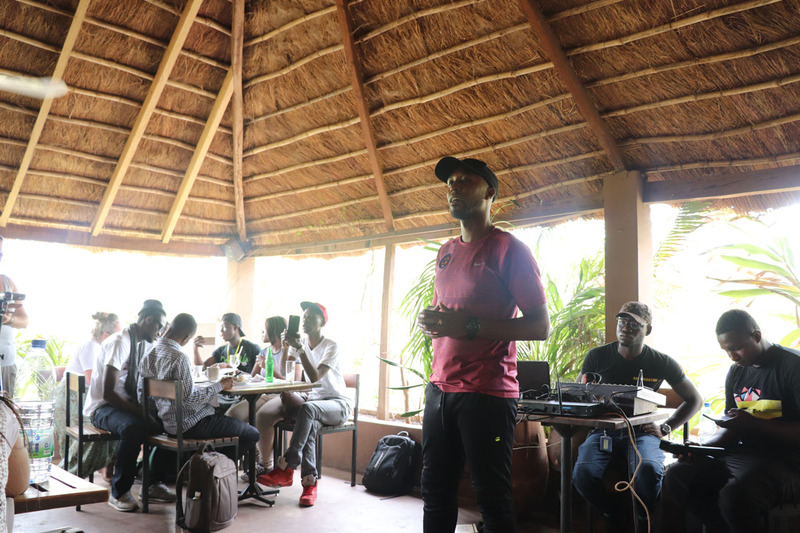 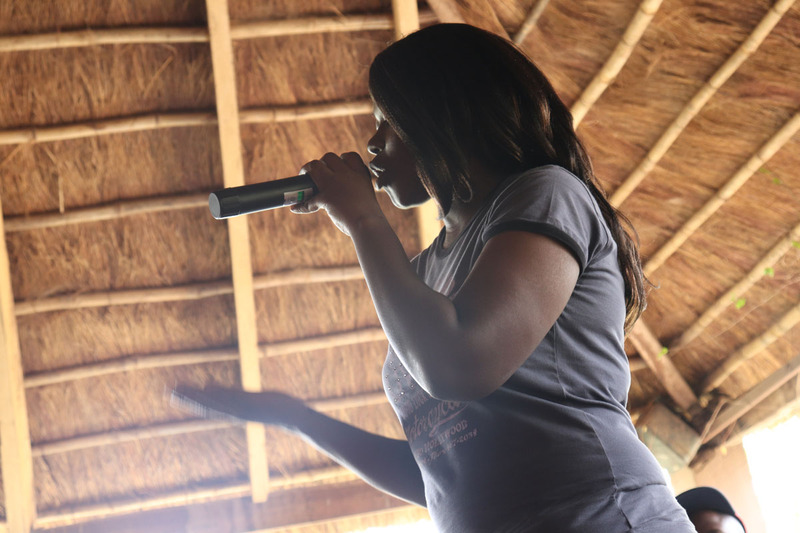 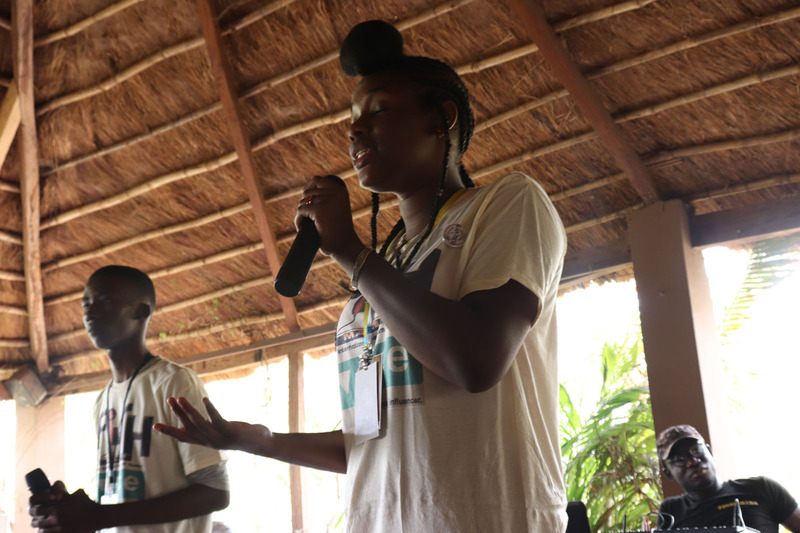 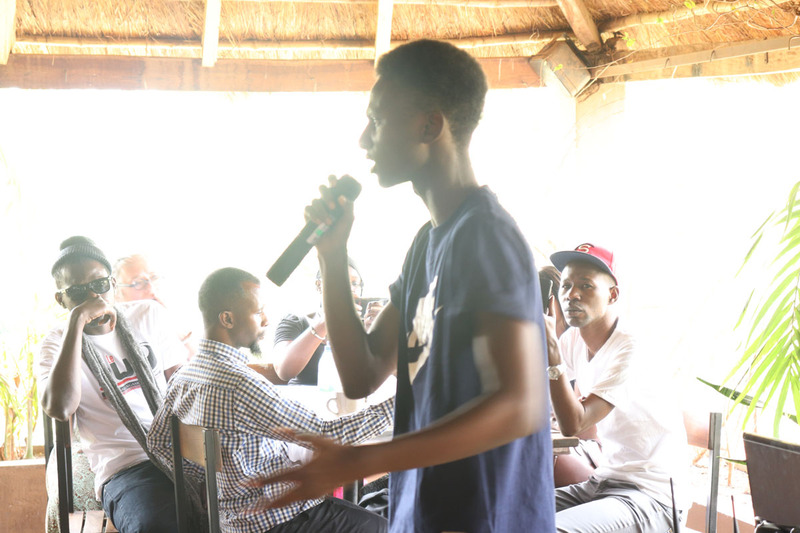 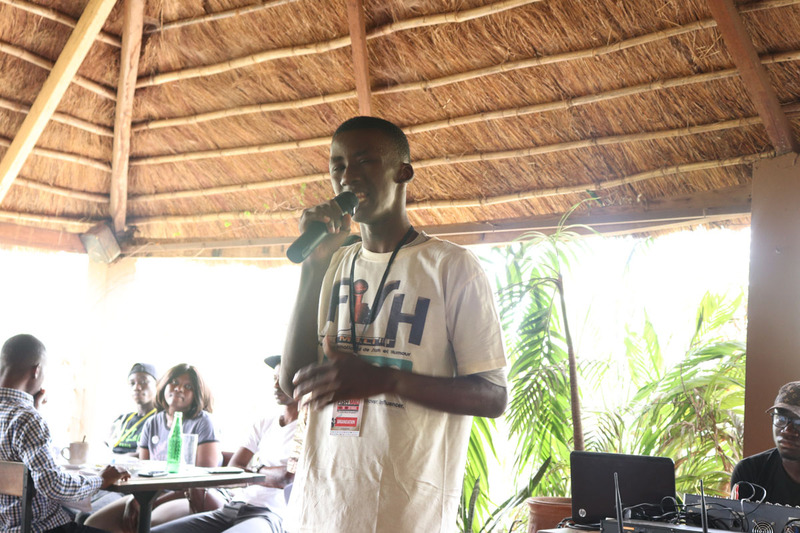 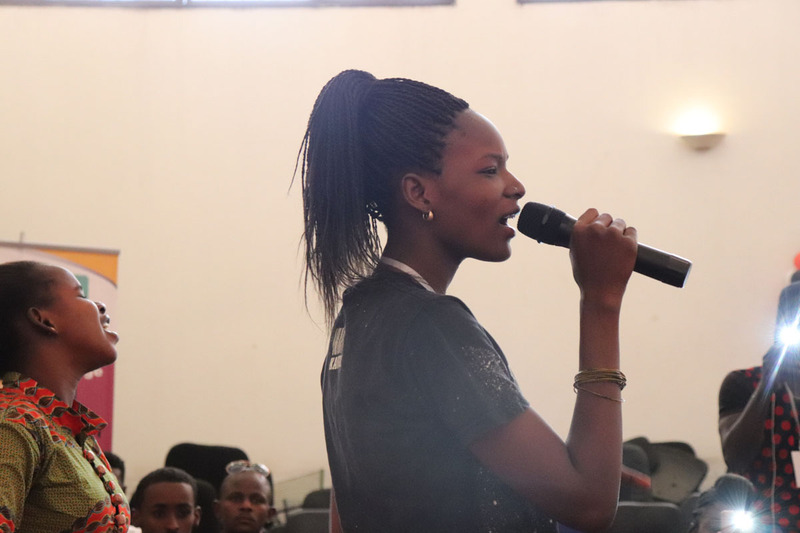 Voice4thought attended FISH Mali 2018 and participated in some of the workshops. 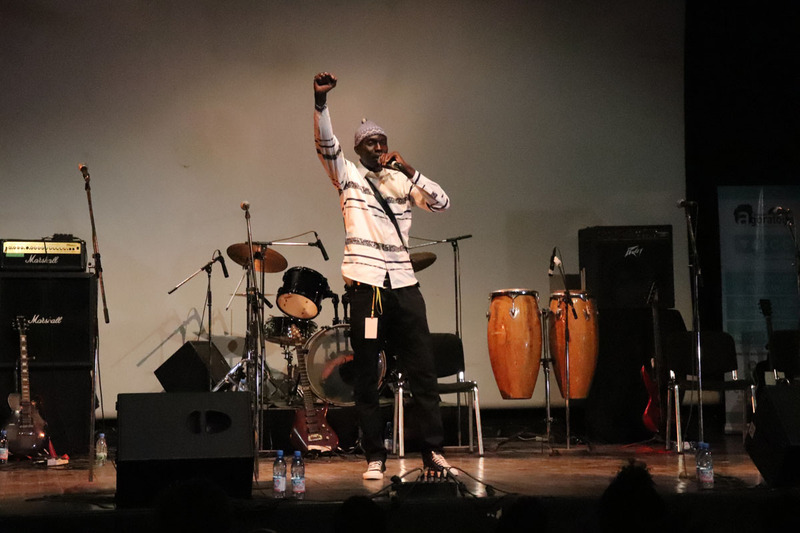 Below is a photo and video impression of the opening ceremony, artist meet & greet, workshops, comedy competition, community concert and closing event. 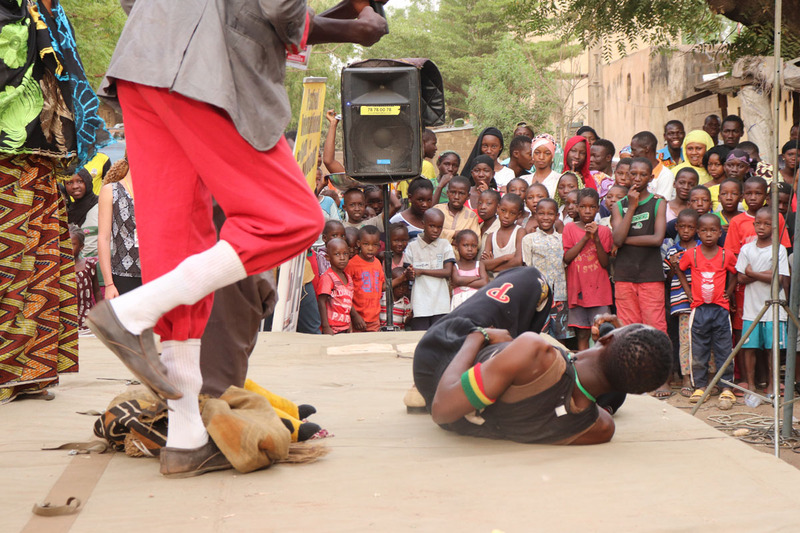 Click on a photo, then use your arrow buttons to browse through the image gallery.